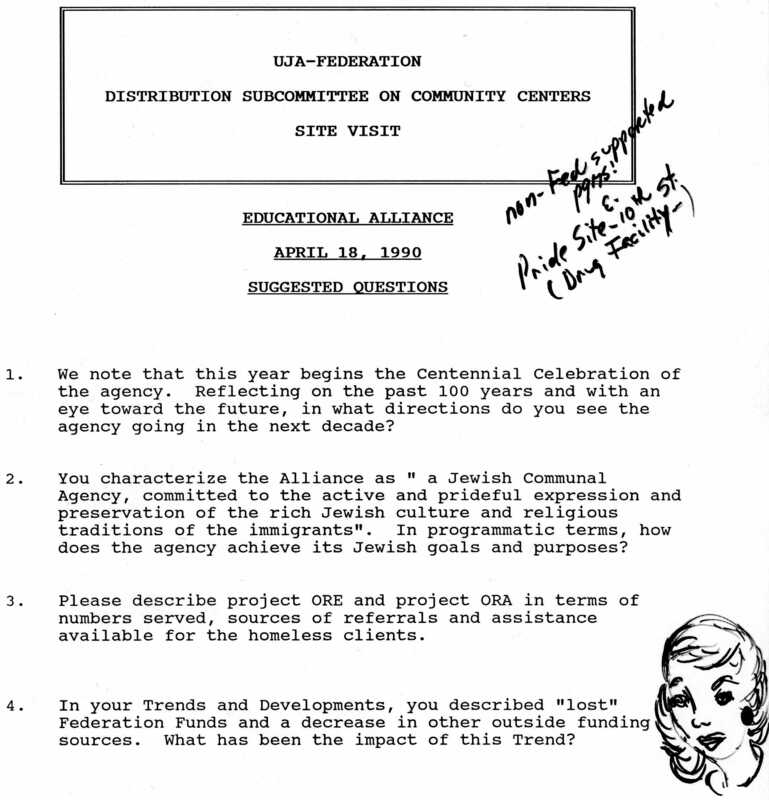 The dedication ceremony featured speeches from the President of the Federation, Milton Weill, and Oscar-awarded actress Kim Hunter (who, along with Roddy McDowall, was in the film Planet of the Apes). Attendees of the dedication ceremony could have toured the swimming pool, the lodge, eight rainy day shelters, two athletic fields, nature trails, fishing ponds, and more. 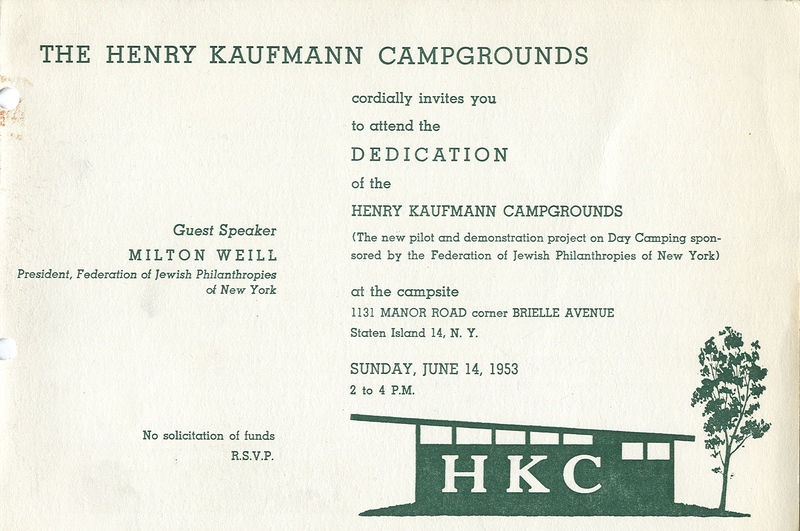 As the invitation explains, the Henry Kaufmann Campgrounds were part of a much larger program to build day camping sites to accommodate 3,500 children in facilities just outside of the city. Admittedly, the date of dedication ceremony was what caught my eye…today is exactly sixty years later. One more related doodle showed up this week, again in the Budget Department files. Oddly, it is very similar to the doodles in last week’s post. We’re wondering if this indicates that the doodling member of the department staff in 1975/76 was still in the department in 1990/91, or if there was a simply a departmental doodle style. At some meetings dealing also with Greater New York Fund (GNYF) budgetary issues, someone or various someones perhaps helped their concentration by doodling. 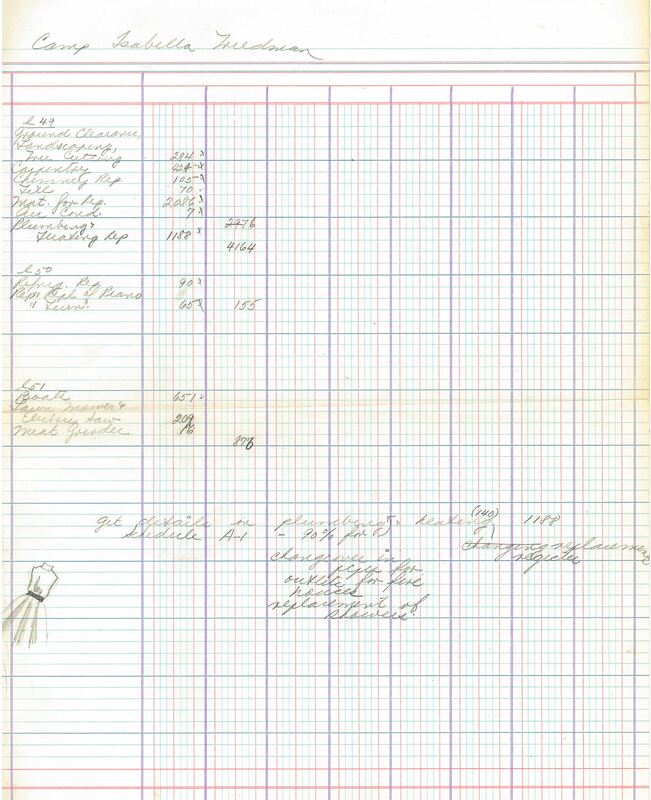 The notes below have doodles from meetings in the 1970s. 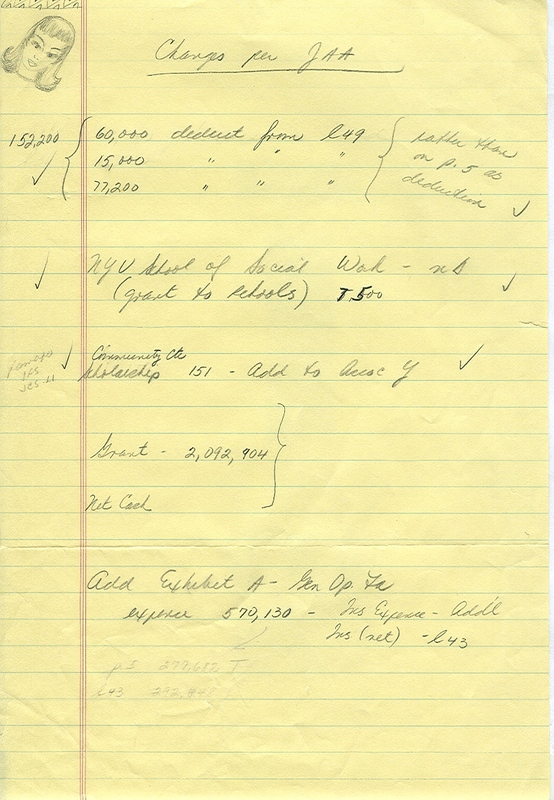 All three of these doodles could have been made by men or women; I’d like to think they were made by one or more of the three women who were in the department at least in the 1960s-1970s (in Bea Newman’s case, she worked in the department from 1956 to 1994) – signs that their thoughts were straying to that evening’s visit to the hair salon or dress shop. 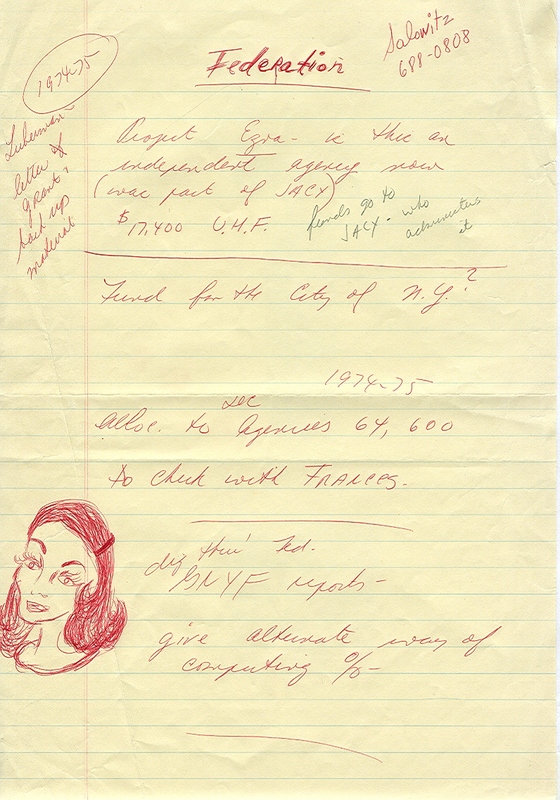 Each of these three also had signed correspondence in some of the Budget Department Subject folders in the 1960s: Bea Newman, who handled a lot of the GNYF correspondence for both Saltz and Applebaum , Mrs. Getzler and Miss F. (Frances) Klein. We hope to find more examples of doodling at meetings as we get further into the collection.